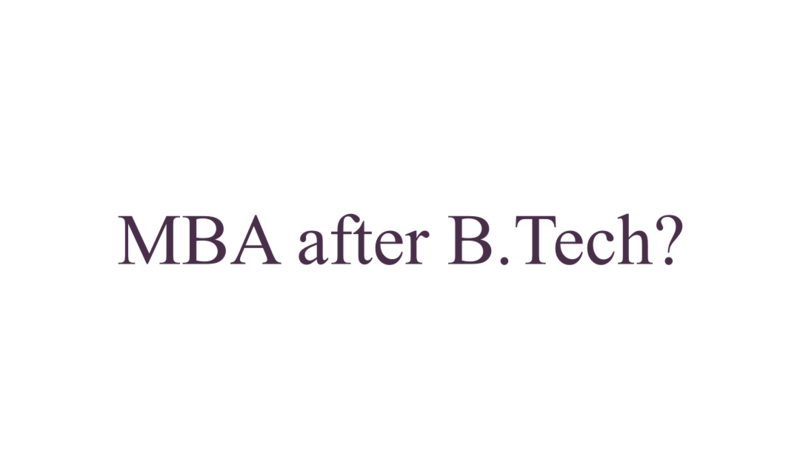 MBA after B.Tech – Pros and Cons! A B.Tech degree opens up a lot of career opportunities for students. You may get placed in well known multinational companies or go for higher studies or simply start your venture. At this crucial juncture in life, an important question comes to many students’ mind: Should I do MBA after B.Tech or explore alternate career options? While the ultimate decision is made based on individuals’ passion, interests and family circumstances, some valuable information with this regard can help you make a right decision. MBA after BTech has been a hot career choice for years. You will find a lot of people in the corporate world who have an Engineering as well as MBA degrees from well-known institutions and work in wide range of sectors. Should I go for MBA after B.Tech? Before I answer this question, you need to explore the options that you have. First of all, you need to decide whether you want to do a job or go for higher studies. If you want to pursue Post Graduation then, you need to explore promising post graduation courses that offer a value addition to your career as well as help you land a great job with a decent salary. In this post, we will discuss the advantages and disadvantages of going for MBA after an Engineering degree. Advantages of doing MBA after B.Tech. Every kind of expertise or skill can be a valuable asset for individuals. However, in today’s era when technology is playing a crucial role in transforming our lives and businesses, there is nothing better than a blend of technical and managerial skills. You can utilize this combination of competencies to advance your career in any technology company. Technical and management knowledge also come handy when you start your own venture. Of course, just doing B.Tech. doesn’t ensure that you will learn technical things, especially coding. However, the course is designed to give you a strong background in technology. Thus in future, if you wish to learn technical skills such as computer programming or productivity tools, it should be a cakewalk for you. Whether you like it or not, but the demand for graduates with B.Tech and MBA degrees is greater than the graduates with any other degree. This trend should continue for years as technology is not going to fade away from our lives. It is true that people with other skills and degrees will also be in demand. However, technical and management skills will always be at the core of any organization which wants to grow professionally. And therefore, the demand for technical and management professionals will be far more than other professionals. Most of the global brands hire professionals with technical and management background. Although they hire people from almost all walks of life, the number of hires who have engineering as well as management degrees outnumber hires with other educational backgrounds. One reason for this may also be the availability of a large number of graduates who have both the degrees. However, the top employers who hire a large number of fresh MBAs, usual come from IT or BFSI (Banking) industry. Both industries prefer candidates with B.Tech and MBA degrees. So if you do your B.Tech and MBA from a decent college, you will have a broad range of career options. While the salaries depend on a lot of other factors, if you have the engineering background with MBA from a reputed institute, you may get placed at a better salary package than others. Although a degree is never the sole criterion of salaries or job roles, the candidates with both MBA and BTech degrees tend to do better in the aptitude and other tests that help them get a higher compensation package. Your prospects become better if you have excellent communication or writing skills. 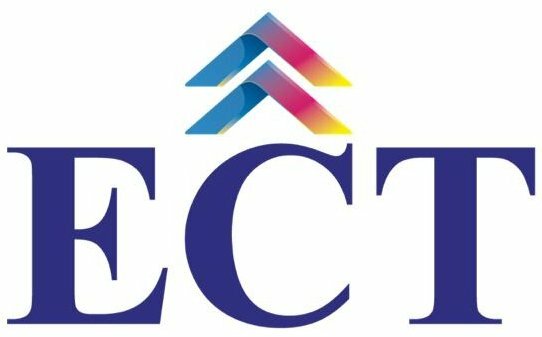 Many people do B.Tech, MBA and then get into Insurance or Banking sales which are not at all related to their educational background. Although, there are very few job profiles which relate to education provided in school or colleges, 180-degree change in direction raises many questions. In hindsight, you may feel that there was no need to spend time in preparing for entrance exams and four years degree courses when you had to make a career in the sector that is hardly related to your educational background. It would have been better to do BBA or B.Com, and MBA and then do the same job with the same package. This was just an example. There are many other scenarios where your educational background doesn’t directly or indirectly impact the job you do. Under such scenario, it is better to study something that takes less time and investment. There is a massive surge in the number of students who opt for engineering after 12th. Therefore, the number of professionals with B.Tech and MBA degrees are significantly more than professionals with other degrees. This has made both the degrees, B.Tech and MBA, redundant. Until you are a graduate from a reputed institute or you have good work experience, these degrees are hardly appreciated by organizations. The companies rather hire simple graduates who add as much value as an engineer or an MBA does but cost less than half of them. To complete full-time B.Tech and MBA, you need to spend at least six years in the college. Many students drop to prepare for Engineering and MBA entrance examinations, so they tend to take around 7 to 8 years to complete their education after schooling. If you go for simple graduation and MBA, you can save at least one to three years plus a few lakh rupees. In the long run, knowledge and expertise are more valuable than degrees. Therefore, the value of any degree won’t help you beyond a point. If you are passionate about something, you should go for it. You should make all out efforts to realize your dream rather than spending sleepless nights for obtaining a degree that is useful only in the short term. Go for a degree if it helps you realize your dream and not just because your friends are doing it. If you think beyond matrimonial market and choose what you love to do, you will always be happy even without a formal degree. Many people go for MBA after B.Tech because they think they will get more salaries and better growth prospects. However, it doesn’t always happen. Today, programmers and technical experts grow much faster than anyone else in a product-based technology company. India has immense opportunities for skilled professionals. So invest in self-improvement and you will never have to look for a job again in your life. very nice article sir. thank you !! but sir i still have a doubt. i am currently doing job as a developer in mnc company. I want to study more but only in my it field. which course should i opt to,in india or abroad ?? This is nice article, it is very useful article for taking the right decisions for higher studies. MBA is a good career option for getting good job opportunity in top companies. Sir,I am doing b.tech presently in mechanical stream. I am a 4th year student, i always wanted to do MBA as my PG and set a small business in field of production.Will MBA production or marketing be the best for this? Will you please suggest. I have just passed 12th science, I’m planning to go for b.tech in auto mobile engineering and then continue with MBA as well as for RTO simultaneously. Please tell me is it ok or else what should I do..
really an awesome article and informatics, but I am still confused what to choose? whether to go for MBA or mtech ? parents wants MBA to go with and i want to go in mtech and PHP web designing, but still confused ..
Hi Sachin, until you get into one of the top colleges in India, it is advisable to do job and gain some experience before MBA.